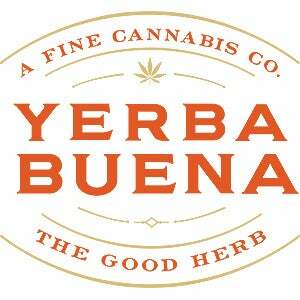 Yerba Buena is an award-winning cannabis cultivator of organically grown flower that has a focus on minimizing its environmental footprint. The biggest misconceptions about the cannabis industry are that it's easy, highly lucrative, and everyone is high. It is the most challenging and most rewarding work we have ever done. Many cannabis professionals consume less cannabis than before entering the industry to be strategic in avoiding derailing productivity. There is simply so much to do! Dealing with banking issues, unfair taxation, limited medical research, and stymied public acceptance due to its federal status create a world of issues other industries are not forced to navigate. At Yerba Buena, it is our goal to set a standard for the cannabis industry (and beyond) that pushes available technology to improve sustainability, best business practices, cultivation methodology, and accountability. We do this through a proprietary, sophisticated data-collection and reporting software that provides business intelligence and research capabilities that we built internally. This enables us to conduct research on alternative lighting technology, plant science research, and efficient energy use. We are the only cannabis company to be awarded the Best Greenest Workplaces in Oregon award by Oregon Business Journal two years in a row, across all industries. Price compression as a result of over-saturation of the Oregon market and maintaining our values with a tight budget. We are committed to organic cultivation practices, paying living wages, and covering 100 percent of our employees' health insurance premiums (plus vision and dental), a competitive PTO package, as well as offering educational opportunities, wellness days, an employee garden, and a robust paid volunteer program, integrating our company with our local community, and helping to break the stigma plaguing our industry. As one of the first licenses, we've pioneered Oregon's recreational program, bringing positive best practices to the forefront of the industry. Making a difference. This plant has made incredible, undeniable changes in many people's lives, but on a grander scale has the potential to inspire potent and radical change in how businesses operate. As this industry emerges, we have the responsibility to unveil this sacred, healing plant to the world in a way that inspires humanity to operate in a more compassionate, creative, and innovative way, being good to one another, ourselves, our planet, and those who call this place home. Cannabis can change the world. The toil is real. The pressure is intense. The challenges are immense. We are in the midst of an uphill battle, but one that is worthwhile, and we are winning because the good guys and gals always win. Without the other incredible people in this industry, including every single person of our team, working hard and believing in this important work, none of us would be here. A rising tide lifts all boats, and we are honored to be a part of this movement. Hats off to those making it happen.